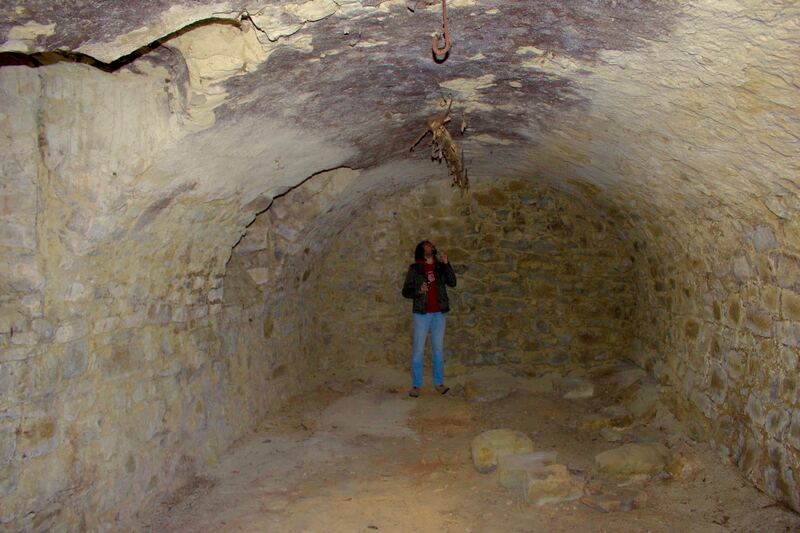 Remember that in our first visit to the house we were unable to visit the cellar? Let’s take a step back: according to the land registry maps we examined at the real estate agency, the west wing of the house, the oldest one, had a cellar. However, a large group of trees and bushes had decided to grow lush and undisturbed around the north and west walls of the house, partially obstructing the view and the access to that part of the house. 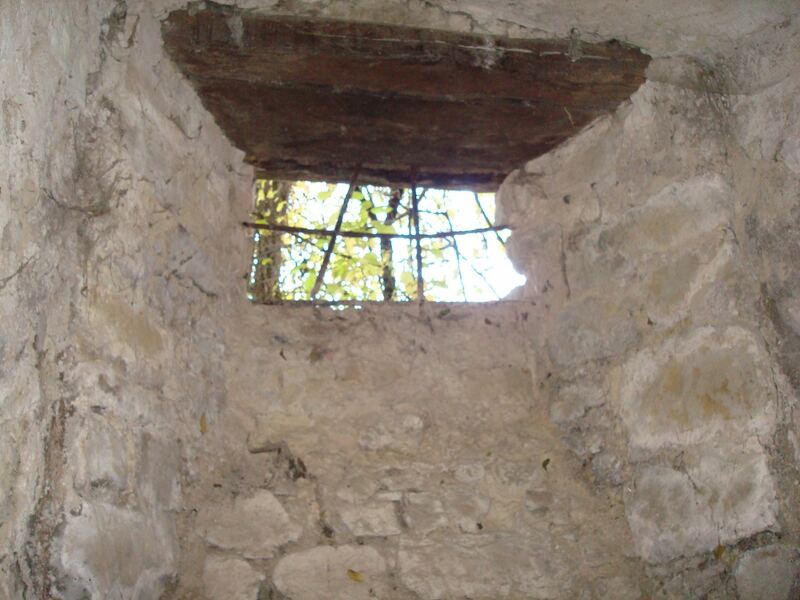 In our first visits, all we could see of the cellar was a brown door and one or two small holes, hidden by vegetation. At the start of the renovation project, however, it was necessary to inspect the property carefully to check the consolidation work to be performed. Gradually the poor trees and bushes growing around the walls of the house had to succumb. What emerged behind the vegetation were two small windows on the north side of the house and, on the west side, a worn-looking wooden door, partially unhinged but well locked with a padlock. The padlock was but one of many locks in the house. 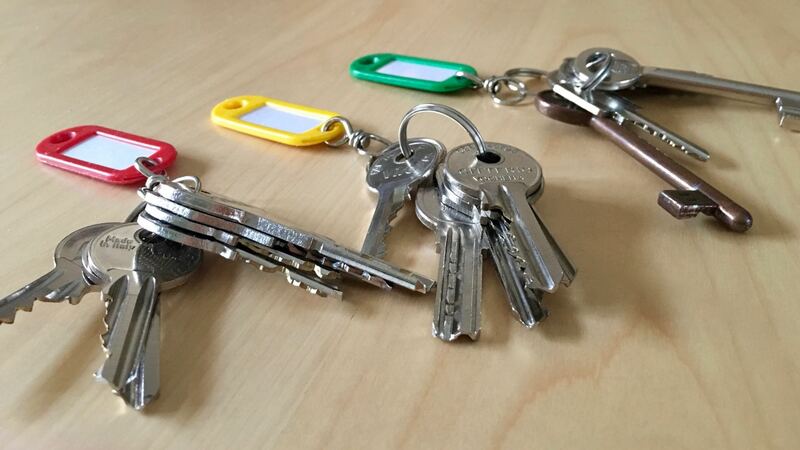 Back at the time of the deed, we had a great lough as we were handed over the keys: the bunch of keys was actually a triple deck! Each room of the house had its key and all the rooms had been left locked. The key to the cellar’s padlock was the classic needle in the haystack, and we had to find it by trying the keys one by one. It was a good lesson in patience. 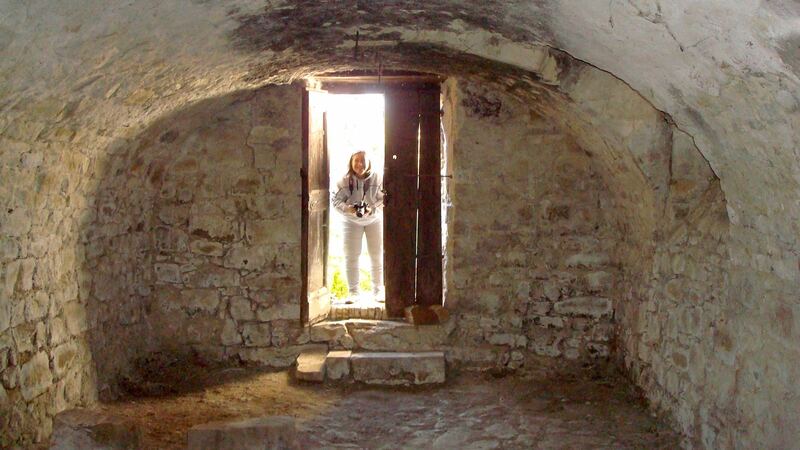 When we finally found the key to the padlock, we were able to get into the famous cellar. 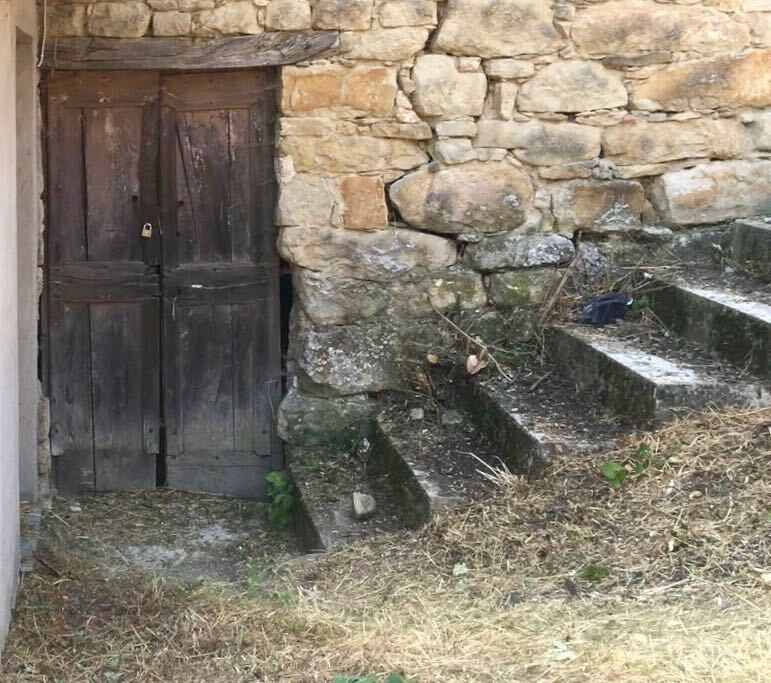 Having visited other houses in the region, we had gotten used to the charm of the stone buildings, but to uncover an old door half buried under the vegetation, open it and see the inside, had made us feel like archaeologists discovering an ancient hidden crypt. At least that is the emotion we felt when we saw the vaulted ceiling, the thick walls, the light coming from two dormers cut into the vault, the old hooks where the animals were once hung. We’ll have to think of how to make good use of this peculiar space. Meanwhile, given the age of the building, the basement will be first propped up and then reinforced with modern materials and special techniques to help keep up its charm for a long time to come. Vaulted ceilings are sooo charming!